In the backdrop of the Karnataka Assembly's general election, the parties are doing their work. The Bharatiya Janata Party has already been bringing its party leaders from the North and promoting them there. Yogi Yogi Adityanath is the BJP Star Campaigner. The rest of the parties have also intensified efforts to promote the electoral campaign by leaders and other party leaders from other states. The party seems to have seen the Telugu state's leaders. The Congress feels that they should campaign in Telugu speaking areas of Karnataka. In particular, Karnataka Congress leaders feel that the election campaign by Megastar Chiranjeevi should be promoted. In the district of AP Border, the Telugu leaders in Bangalore are promoted by Chiranjeevi to the Congress leaders. Chiranjeevi is now the Congress MP. The Congress is trying to attract a fascist figure in Karnataka as a cinematographer. 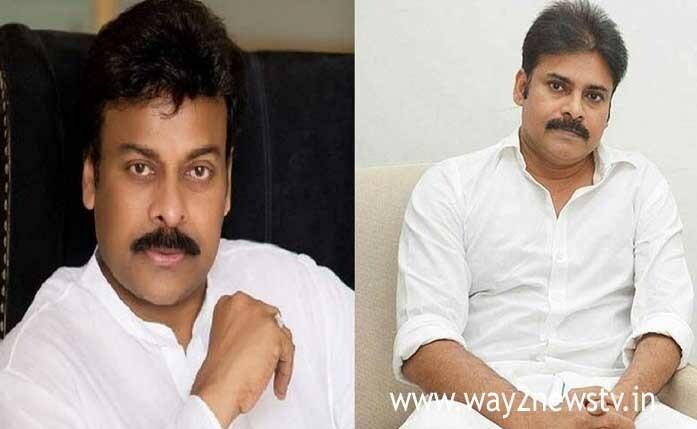 The other political parties have come to see Jana's chief Pawan Kalyan in politics. Pawan Kalyan is campaigning for election campaign. JDS Chief Minister Kumaraswamy himself declared this. Kumaraswamy said that Pawan Kalyan will be invited to campaign for his party. Pawan Kalyan is a party to anti-Congress and Bharatiya Janata Party and hence will campaign for his party, Kumaraswamy said. In this way, the Karnataka political parties are hoping for mega brothers. Leaders of these parties are trying to make money and make the film glamor worth votes.